A pop culture junkie through and through, I can’t help but have some strong opinions about the television shows I have watched over the years. From universally hated finales to unhealthy relationship pairings, even our favorite TV shows will disappoint us from time to time. This week, we’ll talk about the ones that got away – the TV couples who should have been together when the series ended. Feel free to add your own favorites in the comments section below! Throughout Gossip Girl, both Dan and Blair experience their share of relationships. The Upper East Side’s Queen B begins the series in a long-term relationship with golden boy Nate Archibald, falls into an emotional on/off affair with bad boy Chuck Bass over several seasons, and even marries the Prince of Monaco. Dan, a writer and outsider from Brooklyn, falls for socialite Serena van der Woodsen (Blair’s sometimes-best friend), briefly dates Hilary Duff and begins to raise a child he soon learns is not his. Let’s face it: these characters have a lot going on. Many of us grew up watching Boy Meets World and wanting the idyllic Cory/Topanga relationship, but to me, the more interesting couple was always Shawn and Angela. Shawn, Cory’s best friend, had a rough family life and difficulty staying in a relationship longer than two weeks. Angela was the first girl he really committed to, dating in high school and college, and his character grew a lot during that relationship. They part ways when she leaves for Europe to be closer to her father (which is a valid reason to leave), but the couple never really gets closure. 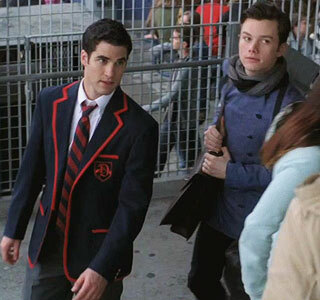 First, let me just say that I hated Rory’s Yale boyfriend, Logan. To me, he never really came off as a fantastic boyfriend, and I was happy to see that she breaks things off at the end of the series and leaves for her dream job (a positive portrayal of a young woman who temporarily chooses career over relationship). However, if Rory was meant to be with anyone, it was always Jess, Luke’s nephew. Although a troublemaker who doesn’t always know how to be the best boyfriend, Jess grows in his relationship with Rory and (much like Dan and Blair of Gossip Girl) the two have some very real shared interests. Both experience their highs and lows over the next few seasons, but Jess ultimately grows up, achieves some of his goals and becomes a better version of himself. In some ways, he and Rory are at a much more similar point in their lives by the end of the series. I’d like to think that after Rory fulfills her dream to work with Christiane Amanpour and Jess publishes his next novel, the two settle down and live a happy, drama-free life together. I know that everyone is looking back nostalgically at Jackie (Mila Kunis) and Kelso (Ashton Kutcher) because of the actors’ real life engagement/pregnancy, but I always preferred the pairing of Jackie and Hyde. Although an unlikely pair, the two characters work well together on the show and develop considerably throughout the relationship. Things go downhill when Jackie demands an engagement and Hyde marries a stripper, but with the way the show was written, it all felt like a wild misunderstanding that would eventually be resolved. However, the writers never seemed to explore the relationship again, instead bringing Jackie and Fez together in a final season that felt a lot more like fanfiction than the actual show. Yes, readers, I am still mourning this devastating loss! The show How I Met Your Mother, in which Future Ted tells his teenage kids about how he met their mom, opens with the story of how Ted met Robin, a woman he immediately thought was the love of his life. We quickly learn that she is not their mother. Ted and Robin date for a few seasons, but have some fundamental differences that would affect marriage and children in the future, so they eventually split. Over time, we realize that Robin truly is not The One for Ted, and he finally lets her go right before she marries his close friend, Barney. At the wedding, Ted meets the bass player, Tracy, and immediately falls for her. During their conversations, we quickly see how perfect they are for one another – their pronunciations of “Renaissance,” their dorky shared interests, the many ways they unknowingly crossed paths over the years. The writers do a great job of convincing us that Tracy is Ted’s soul mate, the one who made nine seasons of heartbreak all worth it. Then, after the characters meet, Future Ted reveals that Tracy died and that he’s in love with (now divorced) Robin again. The entire episode felt like a slap in the face and like complete regression of his character (and possibly an April Fool’s joke), but the writers stuck to the ending they had planned years earlier, ultimately disappointing their fans. After all Ted has been through, he deserves his happy ending with Tracy! What are some TV couples you think should have ended up together? Do you agree/disagree with any of the above? As we reach the middle of November, let’s take a look at some of the latest trends and stories that have affected our lives and touched our hearts. Love is in the air! Kurt’s got a cute new beau, Blair and Chuck have been more or less back together, and Pam and Jim are still going strong. TV romance has never been so wonderful. People who choose ignorant slurs over the love. Grow up! It’s smack dab in the middle of the worst season ever. Feeling vintage and listening to oldies — REO Speedwagon, anyone? Getting all dressed up for the midnight showing of Harry Potter and the Deathly Hallows – Part 1! The fact that there’s only one installment left after this! Seeing a place that’s familiar to you in the news for something harmless and mildly innovative. Seeing a place that’s familiar to you in the news for something embarrassing and awful. Having fun with Star Wars and stormtroopers. Those who don’t embrace the wonderful dorkiness that is Star Wars. 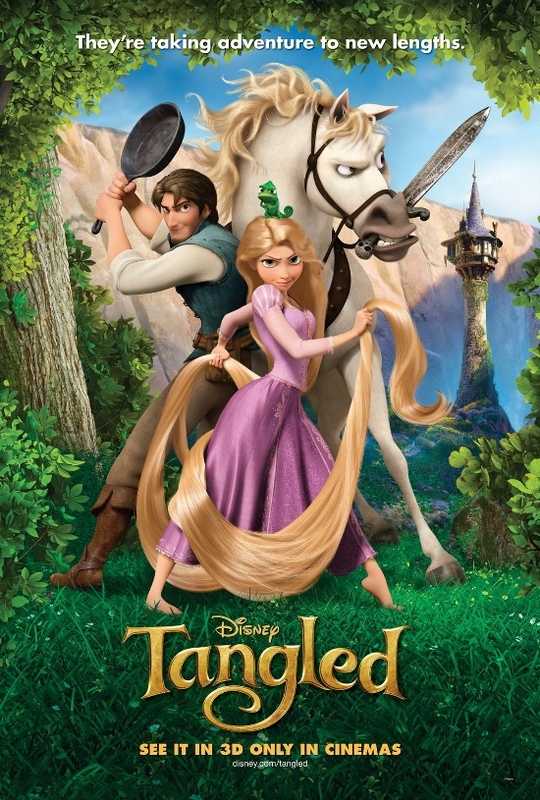 The upcoming release of Tangled, the new Rapunzel movie, for all of the Disney lovers out there! Being the oldest non-parents in the theater! Cher’s commentaries on celebrity and non-celebrity life. The fact that any of the people she’s talking about are actually famous. Ryan Reynolds, according to People Magazine. And, okay, according to me.